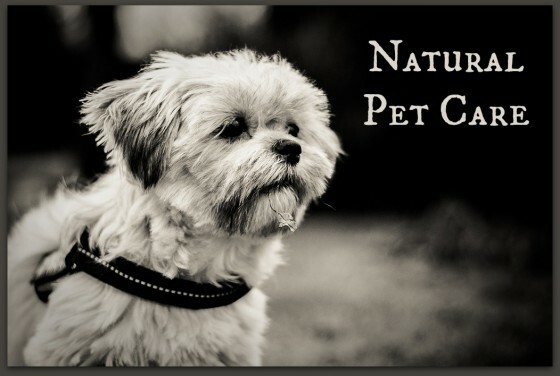 The following article was written with care by pet lover and diyNatural community member Mary-Margaret McSweene. She is a writer in her spare time, in addition to being a graduate student. Mary-Margaret enjoys learning about and practicing sustainable habits, including composting in the den of her city apartment! For a dog owner, the 16th president’s quote rings so true. For someone who writes from home all day in the company of only my pit bull/lab mix, Jake, it feels like, well, gospel. And as I began to read labels on substances with which I come into close contact, I thought of my constant companion. If I was encountering toxins, surely a creature who sleeps and eats on the floor was too. And sure enough, the list of ingredients in my floor cleanser was long and full of toxic material. When I began replacing my own cleansers and grooming products, I made a list over several days of every item I used. Then, as those items ran out, I researched and experimented and found natural recipes to replace them. I began the same process with my dog, from the ground up. Luckily, I learned that Jake and I were actually battling many of the same enemies. Our first common enemy was just at our feet: the floor. Because I have a dog, and because we’re city folks, I have always been serious about cleaning the floors. When I look at the floor of the subway car, or the dog waste left by inconsiderate owners on our block I think, “We walk on that. And then into our home.” Of course, I can remove my shoes. 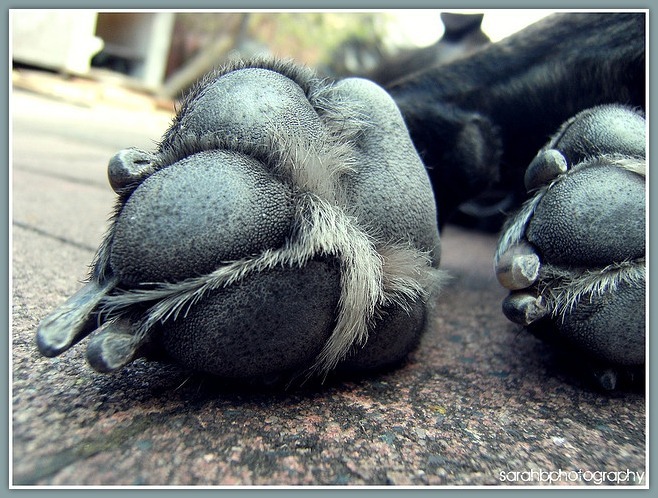 But Jake’s paws stay on pretty tightly. For general upkeep of the floor, try a bucket of boiling water, and steep two or three tea bags therein. Mop with the weak brew. The tannic acid makes for a nice shine. For the serious stuff you brought home from the subway you can summon the big guns without declaring chemical warfare. 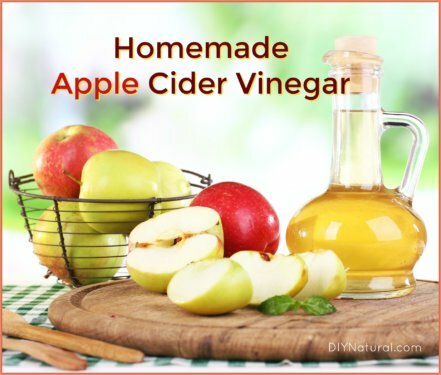 Mix ¼ cup white vinegar, about a tablespoon of natural liquid dish soap, and ¼ cup washing soda in 2 gallons of hot water. Jake used to race in from his walks and race immediately for the bed or sofa. It only takes one smudge of something awful on the bed in which you sleep to start ritually wiping paws. Several pet sites suggested Clorox wipes. While this would kill germs, the packaging is fraught with warnings about ingesting the product. Like most dogs, Jake licks his feet. Even the gentler chemicals were drying to the skin. So, I found a recipe for DIY Clorox wipes online, and modified. As common as dirty dogs are pukey dogs. If they find it, they will eat it. To curb mild stomach and bowel ailments, try replacing their regular food with plain white rice, boiled yam or sweet potato, pure canned pumpkin, or plain yogurt. I once took Jake to the vet for an upset stomach and he was given a pill—one of the listed side effects was nausea. How helpful. I’ve purposefully saved this tip for last, hoping that all dog-less people will have moved on by now. I’m talking about separation anxiety, and doggie downer pills. Most dog-less people will likely find that insane. However, vets do prescribe anxiety meds for nervous dogs. Jake was a rescue dog, and for years shook and drooled and cowered whenever I left the house, when he needed to ride in a car, and when he heard a loud sound. Our vet offered meds, but it made me nervous. Consistent dog training is of course the best answer, but even after years of that, Jake still has his hang-ups. Enter Thundershirt. Thundershirt is a tight-fitting vest that swaddles your dog. It is similar to the vests autistic humans wear, and produces a similar effect: comfort, security, and calm. This vest helped Jake transition from being nervous and created when I left to being able to laze on the sofa all day, whether I was here or not. Retailing for around $35, it’s also a much cheaper option than medication. And what better way to honor your defender? Sarah, Do some research on diatomacious earth. I’ve seen it recommended for parasites in pets and people. A boxer would probably be about 1TB per day. I also have a cat that has gas problems. I pull apart one of my probiotic capsules and sprinkle it in her food. Gas gone. The probiotics would probably also help with any parasites your dog has. (Good bacteria pushing the bad stuff out.) Neither of these would hurt your dog, so doesn’t hurt to try. Hope it helps! Thanks so much Susan! In the time since Ive written my last desperate comment, we’ve gradually been switching her over to a raw dog food diet and using plain yogurt as a treat (the probiotics you mentioned). She loves both, her energy is returning, her gas is almost non existent, and we’re sooo happy! I also found a great website called Molly’s Herbs that sells natural deworming herb kits for all kinds of animals. After reading tons of testimonies, we decided to buy a kit. Ill keep you posted on how it works for us. Thanks again! Any ideas for naturally deworming a 75 pound boxer? She’s 2 years old and we’ve done pretty well so far keeping her away from chemicals for grooming and small tummy ailments, but my husband and I are desperate for something to help, and are almost ready to break and try medication for worms. Please help! Also, she has always had bad gas when some visitor feeds her table scraps, but recently her gas has been nonstop and completely overwhelming. Im sure this is partly the worms, so all the more reason for us to find a natural cure. Thanks! Doterra’s TerraShield is a blend of 15 different essential oils specifically designed to repel flying and biting insects naturally. I would suggest using a small spray bottle (2oz) with water and 10-15 drops of Terra Shield. Shake the bottle before each use. Thyme, lemongrass and clary sage are also shown to help deter ticks. Thanks so much for this post! I am having such a hard time as of recently with my Boxer Daisy getting into things and she’s allergic to practically everything! This will be so helpful! Love your blog! Hi Jamie. Thanks for reading. Eucalyptus is not safe to ingest or use topically in its fully potent form, but when diluted properly, it definitely is. There are many online resources that will give you the appropriate dilution ratio, and also facts about how much pure oil is considered poisonous based on weight of the creature (human and dog alike!). Garlic is an excellent antibacterial, natural antibiotic and fungicide. I smash several garlic cloves and soak in hot water, strain and put in a spray bottle. I spray this onto my wee girls feet and around the nether regions to deter fleas. Works wonderful. If I see her licking her feet more than normal I spray them too. My neighbour used this remedy and got rid of the mange his dog was bothered with, and the vet couldn’t cure. Also a little garlic in their food prevents those dead areas in the lawn where she pees. U can crush a clove and add to food or use garlic spray over food for a little girl like mine. I married an Italian so we always have enough garlic in the house! I will have to look into this. Thanks Mari, and to everyone else for the great suggestions! We live in Florida so never get a break from fleas. Years ago someone told me to sprinkle the carpeting with 20 Mule Team Borax, let it set at least 30 minutes, and then vacuum. Since that time we’ve NEVER had fleas. I’ve never paid for flea dipping when I boarded my dogs which is always mentioned as a possibility when I leave them. When we leave on vacation I sprinkle the carpets and leave vacuuming until we get back as a heavy duty treatment. 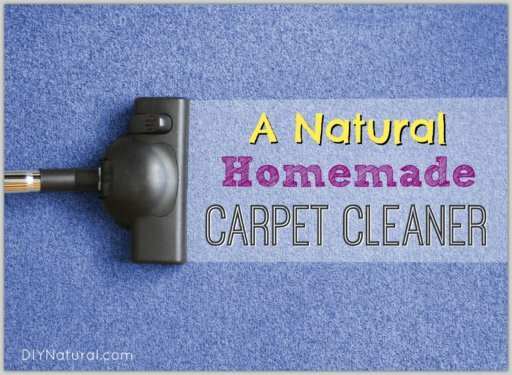 Also the residual borax left in the carpet acts as a cleaning booster when the carpets get steam cleaned. My carpets look amazing. Thank you for this well-informed article! My husband and I adopted a Husky-Border Collie mix from the Humane Society about six months ago, and she has so quickly become an integral part of our family. We work so hard to not feed her “human food” such as table scraps (despite all of our relatives thinking we are heartless) for that very reason: we have a heart! She has a touchy stomach, and does not need to get off of her very regulated diet; the only exception is carrots and celery. She seems to love them, and I have done my research on which fruits and vegetables are okay for omnivorous dogs to consume. My (long-winded) question is this: due to our dog’s touchy stomach, we haven’t switched her food much to test whether or not she has food allergies. We believe she may have food allergies due to the amount she bites her skin when she is relaxing around the house. (We first believed it may have been a nervous tic when we adopted her, but since then she has become extremely comfortable with us.) We also wonder if part of the problem is dry skin, however. We live in the first-humid, then bone-dry Midwest, and of course now we are suffering through the dry winter. We have been wanting to switch to a natural dog cleanser, and I was so excited reading about the Castile soap! Will it help with itchy and irritated skin? We bathe her about once a month; she is a very clean-mannered dog, but also has the “dreaded” double coat (and sheds … And sheds… And sheds!) Hope you can help! Hi, Whitney! Congrats on rescuing! And for typing as well as you did on an iPod–I’m not brave enough to try. As far as the itching, it could be a multitude of things, and I’m not a DVM so don’t want to tell you anything that may not be correct. But I have found that adding a salmon oil to my dog’s normal dry food has helped his coat so much. So so much. Less flaky dry skin, and probably about 75% less shedding. It could also very well be the food as you stated, and I’ve gone through that with a past dog. Unfortunately, the best you can do is to spend money on finding a food that seems to work, which gets expensive. Thank you for the prompt reply! Can the salmon oil be purchased in any health food store, or does it need to be a specific type for animals? My husband and I are willing to try anything to help our sweet girl! I understand that–I just quit my job to start graduate school. This stuff is a little pricey, but it lasts a while. I found a link on Amazon, but you can also buy it as pet stores that carry the organic, expensive food and treats. I use the same fish oil tablets in my cats’ food as I take. Since the cats are small I poke a pin into the end and just squeeze out and mix with canned food. Does wonders for their coats. Awesome article. Ever since I got my rescue dog (or should I say she picked me) I’ve tried finding natural solutions for bathing. Even the “natural” products I found had ingredients I couldn’t prounce. As for the liquid castile soap helping with fleas does it have to be peppermint or lavender, or can it be any? I read on the Dr. Bronner’s website that liquid castile soap is a great general wash for pets, but peppermint seems to be an especially good helper when it comes to fleas. After much reading for natural flea control for our cats, we settled on diatomacious earth and flea combings with a few drops of rosemary or rose geranium oil essential oil and a couple drops of soap in the water. They’re not thrilled with it, but they tolerate it. BTW peppermint may be great for dogs, but is generally not tolerated well by cats. Would love to see a good article here on natural cat care. Doterra essential oils can also be ingested as well as used aromatically or topically as they are 100% certified pure therapeutic grade. If there is such as thing as reincarnation, my cat was a shell-shocked Vietnam vet with PTSD. I’ve used a drop of lavender combined with a drop of fractionated coconut oil rubbed on my cat’s paws for his anxiety. Doterra’s On Guard blend can be used as a topical disinfectant and eliminates viruses, mold and bacteria. Very interesting article, but I wanted to mention something for cat pet owners and the Diatomaceous Earth. I realize that this article is more dog centric, but cats can often be plagued by fleas. I’ve read about the Diatomaceous Earth being a cat deterrent for gardening as well as for parasitic pests, and I got some to combat a potential bed bug problem. However, after using the DE, I found that myself and my two cats are allergic to the stuff. I broke out in hives even after using gloves, and P and O were not very happy either. Of course this does not mean that all cats, people, animals, etc. 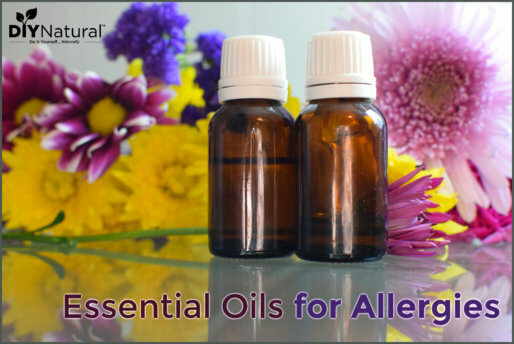 are allergic to it, but keep in mind in case you want to try the method out on your pets. It is also a great eye, nose and lung irritant if you happen to get the powder in your face, so make sure you get the food grade stuff and check the MSDS sheets before using it, and maybe even a breath mask. Thanks for the great blog tips! I really like this idea, I changed my cleaning products years ago because of my dogs, but the essential oils listed say can Not be ingested. The only oils I know that can be ingested is Young Living essential oils, the others are okay for diffusing for scents, but the only ones I put on my skin or use that can be ingested is that one brand I have found.